The U.K.'s Court of Appeal has denied Google's request to block lawsuits from British consumers over the search giant's disregard for Safari privacy restrictions designed to prevent advertisers from tracking users. "These claims raise serious issues which merit a trial," the Court said in its judgement, according to the BBC. "They concern what is alleged to have been the secret and blanket tracking and collation of information, often of an extremely private nature...about and associated with the claimants' internet use, and the subsequent use of that information for about nine months. The case relates to the anxiety and distress this intrusion upon autonomy has caused." The case stems from 2012 allegations that Google intentionally bypassed Safari's default privacy settings, which restrict websites from setting cookies unless the user has interacted with those sites directly. Google skirted this limitation by amending its advertising code to submit an invisible form on behalf of the user —without their consent —thus allowing tracking cookies to be set. Those allegations prompted a six-month investigation by the U.S. Federal Trade Commission, which Google eventually settled. The $22.5 million fine levied by the FTC was the largest such sanction in the agency's history, and Google later agreed to pay a further $17 million in fines to settle cases in 37 U.S. states and the District of Columbia. Google was able to avoid class-action lawsuits in the U.S., but its defense —that consumers had not suffered monetary harm —was not enough to evade British courts. 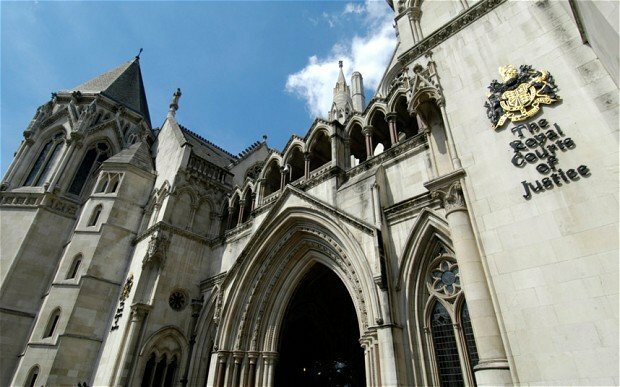 "The Court of Appeal has ensured Google cannot use its vast resources to evade English justice," claimant Judith Vidal-Hall said of the Court of Appeal's judgement. "Ordinary computer users like me will now have the right to hold this giant to account before the courts for its unacceptable, immoral and unjust actions."